To celebrate the 20th anniversary of the VIK label a special very limited edition 45 RPM box set is released. The boxset contains 5 45RPM / EP releases with beautiful designed sleeves & a cd containing the tracks from the vinyl. Many tracks are presented here for the first time on vinyl. Especially for this release VIK made an edit of “cool water” as it was basically not suitable for release in its original form. This beautiful set also contains a 12 page booklet. 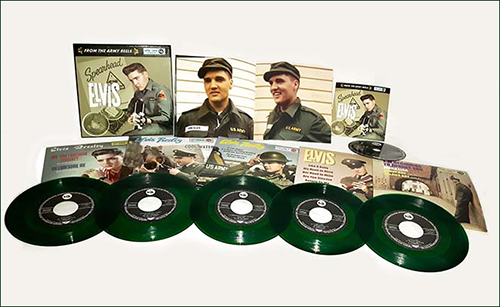 The set is available in GREEN or PINK vinyl. The 45’s are suitable for jukeboxes! Get it while you can! Nice but nothing for me only for the die hard collector.